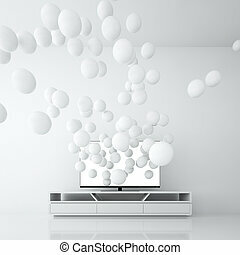 Football flying out from tv screen. 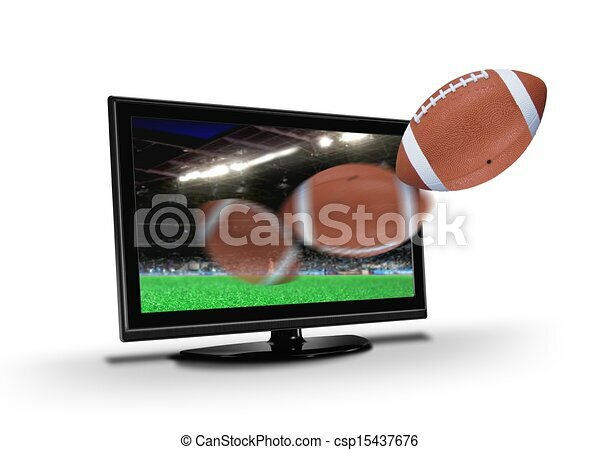 Football flying out from tv lcd screen. 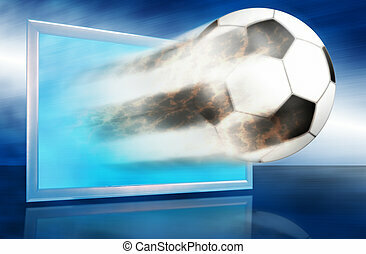 Soccer ball flying out of shattering TV screen in stadium with copy space. 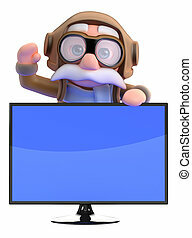 Concept of realistic 3D or 4D TV, virtual reality VR or computer gaming. 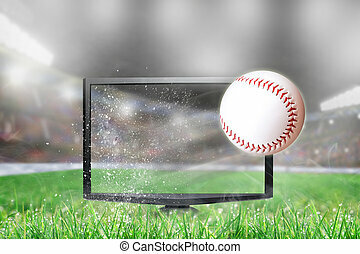 Baseball flying out of shattering TV screen in stadium with copy space. 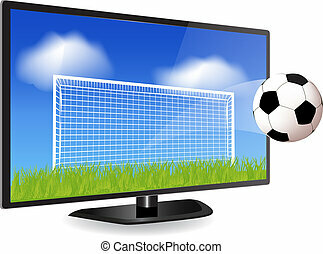 Concept of realistic 3D or 4D sports TV, virtual reality VR or computer gaming. 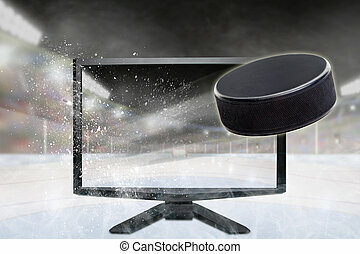 Hockey puck flying out of shattering TV screen in stadium with copy space. 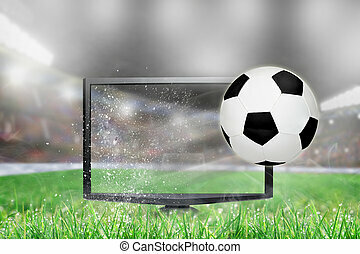 Concept of realistic 3D or 4D sports TV, virtual reality VR or computer gaming. 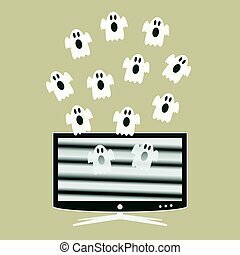 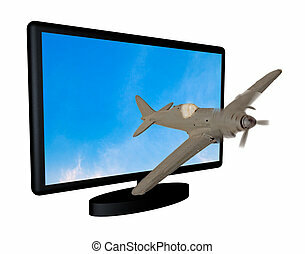 Ghosts fly out of the smart tv screen. 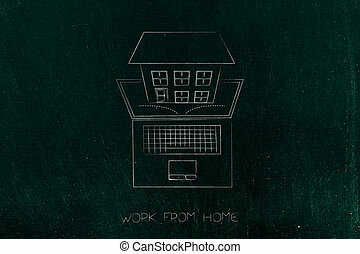 Vector illustration in flat design style. 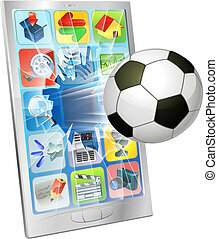 Football ball go out through the blue screen. 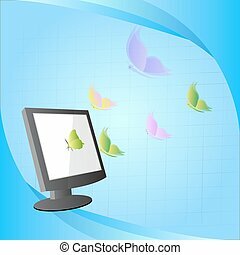 Allegory with popular game and reportage about it. 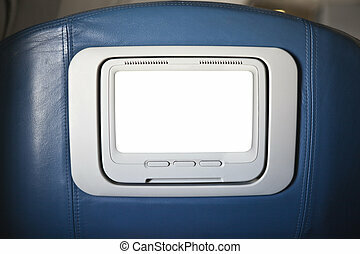 First class seat back television set with cut out screen. 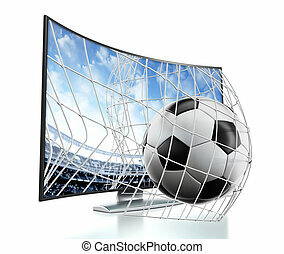 Ball and net going out of 3D curved TV with OLED screen.